Art Dubai is an international fair where paintings, photographs, sculptures and art installations adorned the vast space along Jumeirah beach. In vivid colours or black and white the paintings and sculptures on display by various galleries from around the world provided a venue to learn and gain knowledge about styles, influences and practices of influential modernists and cultural landscape of different countries. All the exhibitors, artists and visitors seemed to have a great time and despite being professional to the core, Art Dubai was like a big family gathering making it easy to get to know new people. There were plenty of exhibitions hosted by galleries presenting variety of artworks for the taste of every visitor. With thousands of visitors each year the fair provided a great opportunity to artists, curators, collectors and art lovers to meet each other. Artists of diverse origins selected many different subjects to be portrayed through their artworks from war, migration to famine, hope and love. This year also at the 13th Art Dubai Fair a Pakistani gallery based in Karachi - Canvas Gallery participated in the fair in "Contemporary Art" section with the artworks of artists Hamra Abbas and Muzzumil Ruheel. 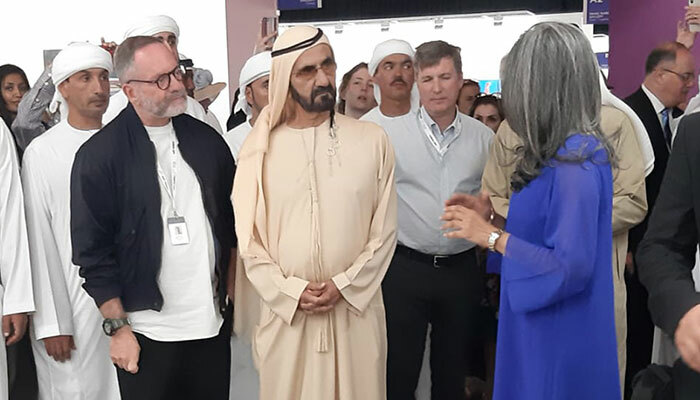 Sheikh Mohammad Bin Rashid Al Maktoum also visited the Canvas Gallery booth at Art Dubai 2019. Sameera Raja, Director Canvas Gallery, Karachi was of the view that people were very receptive to Hamra and Muzzumil's work. They loved the quietness of it and the subtlety. Great comments were received about the show and booth as it provided very a sophisticated display and was not busy and overflowing with work. 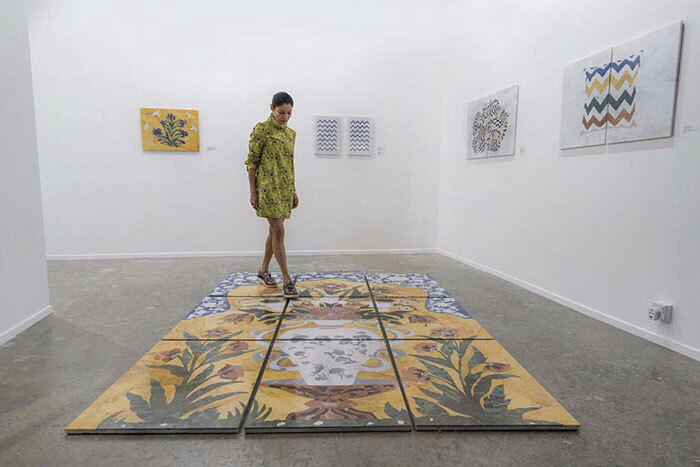 People enjoyed both the artists’ works making it a great experience for visitors. 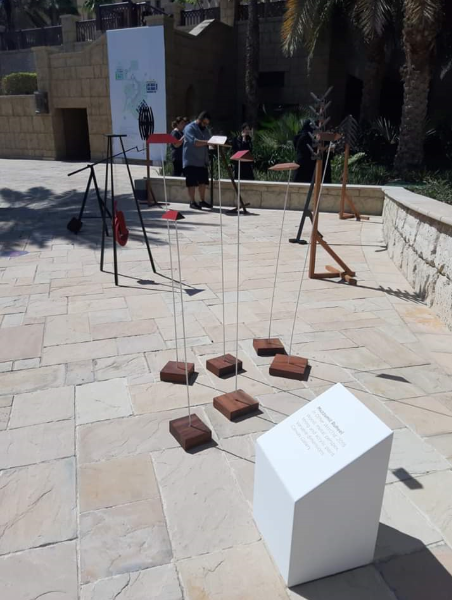 “Gardens in which rivers flow: Plastic flowers and everyday waterfalls” was the title of series of marble sculptures presented by Hamra Abbas at the fair. There were two series of sculptures “Flowers: Gardens of Paradise” and “Everyday Waterfalls. 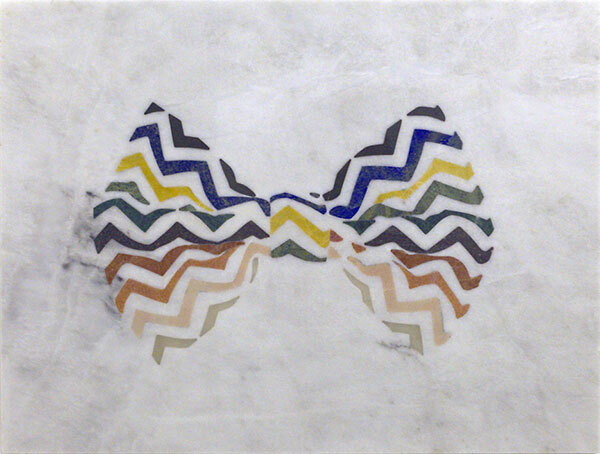 Hamra Abbas experimented with the popular marble inlay technique known as Parchinkari in South Asia in her new body of work. 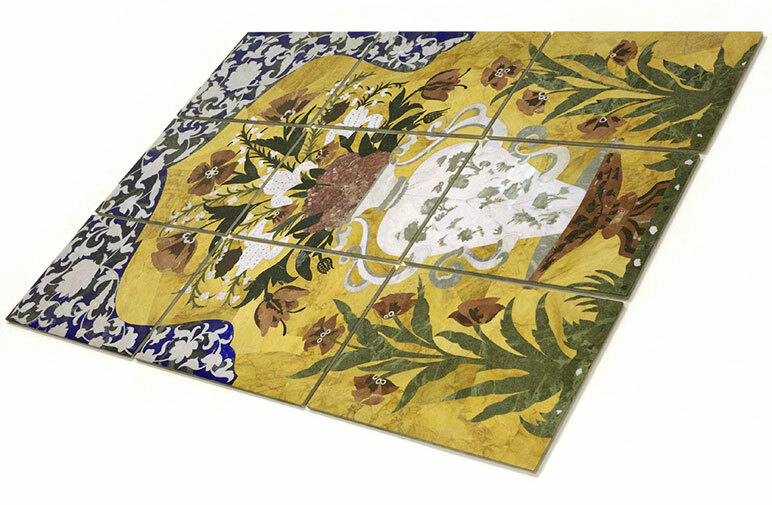 In 17th century during Shahjehan’s ruling period this technique became a distinctive characteristic of Mughal architecture. She used this form of art in portraying changes in society due to change in consciousness of common people and also deals with questions of desire and devotion. The title “Gardens in which rivers flow” is also indicative of the promise of such gardens in paradise. 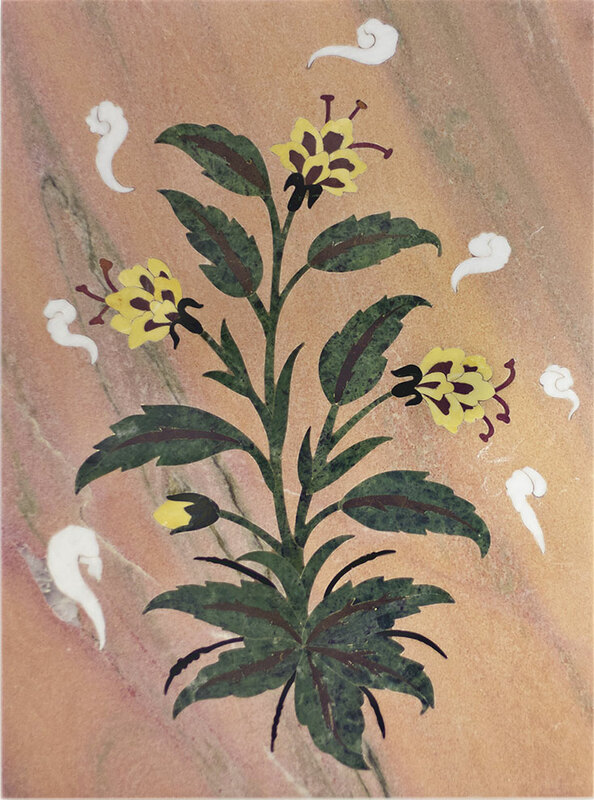 She used images of flowers and plants just like fresco paintings and abstract presentation of waterfalls. 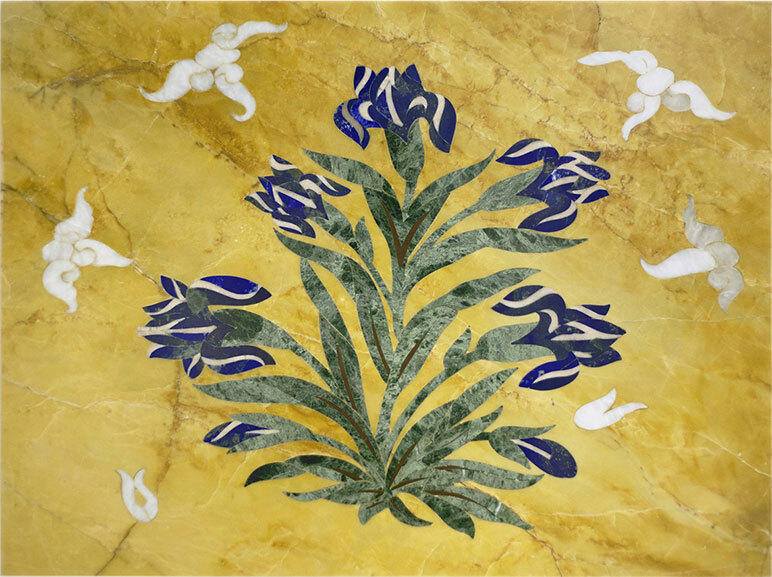 Hamra Abbas’s work “Flowers: Gardens of Paradise I”, will be part of the Kiran Nadar Museum of Art (KNMA), India’s first private museum dedicated to modern and contemporary art. Sheikh Mohammad Bin Rashid Al Maktoum at Canvas Gallery, Karachi booth at Art Dubai 2019.